If you’re an actor who appears on a serious drama—preferably as an intimidating character with a tendency toward violence—thanks for reading this! (Especially if you’re Boardwalk Empire’s Jack Huston. You’re awesome!) But also, stop reading and get to the set of Community, because there’s most likely a part waiting for you. The show has already welcomed Lost’s Josh Holloway, The Wire’s Michael K. Williams, Breaking Bad’s Giancarlo Esposito and most recently Jonathan Banks, and now it’s bringing in Walton Goggins, live-wire of The Shield and Justified, to create yet another nexus of Internet-beloved television. 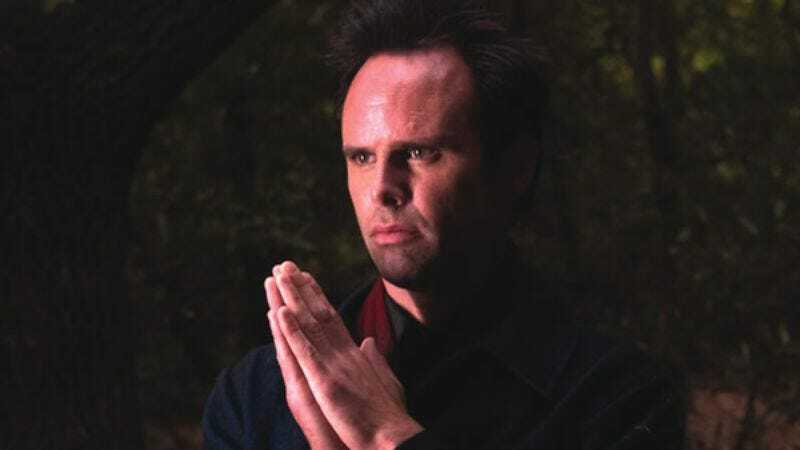 TV Guide reports that Goggins will play the “mysterious, emotionless” Mr. Stone, who arrives at Greendale “with a dangerous accusation, a tantalizing offer, and a devious plan that will change the group forever,” all of which are presumably related. (“You don’t have any pizza!” Mr. Stone will say, accusingly. “Would you like some pizza?” he’ll offer tantalizingly, before revealing his devious plan: “Let’s go get some pizza.”) We’d just like to remind the producers of Community that Ian McShane is still working.